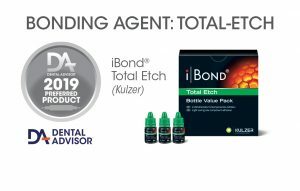 iBOND Total Etch is a light-cured, 5th-generation etch-and-rinse bonding agent indicated for bonding of direct composite restorations, bonding of indirect restorations in combination with light-cured luting cements, and for sealing of hypersensitive areas of teeth. It contains nanofillers in an ethanol solvent and can be applied in one coat. Light curing time is 20 seconds. iBOND Total Etch is available in both 4 mL bottles and single-dose delivery. The bottle kit evaluated contains one bottle of iBOND Total Etch, 50 applicator tips, mixing well, pictorial card, and manufacturer’s instructions. iBOND Total Etch was evaluated by 27 consultants in 647 uses. It received a 94% clinical rating. iBOND Total Etch is easy to dispense in single, well-controlled drops from the 4 mL bottle. Consultants commented on the good wettability of tooth surfaces and low film thickness. They liked the one-coat application and low level of odor. 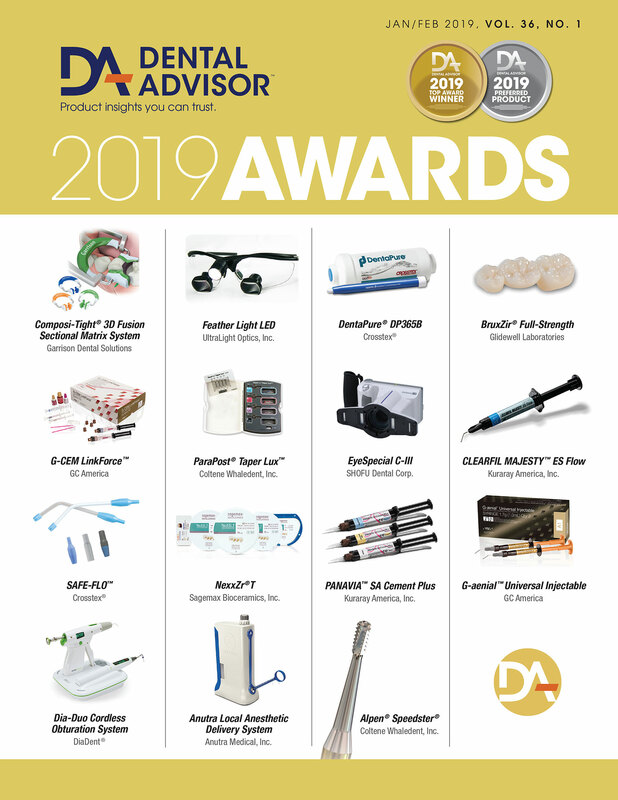 Consultants suggested that etchant be provided for a more complete kit. Thirty percent of consultants reported that iBOND Total Etch was better than their current bonding agent and 59% reported it was equivalent. Seventy-eight percent would switch to iBOND Total Etch and 96% would recommend it. Rub it into tooth surface and look for a glossy surface. Apply with smallest possible tip into the line angles and blow away excess. Material evaporates quickly; re-dispense bonding agent for multiple restorations.